If you love yourself a good bag, and have been saving up for one that can contain your universe, then your search might end with Chennai’s Hydes Studio creations. Clean lines, classic silhouettes and a pop of colour — that’s how we would describe Hyde Studio’s bags. From roomy totes to practical cross body versions, all the bags are functional and come with additional pockets to stash everything from cameras to make up and stationery. We love ourselves multi tasking bags, don’t we? 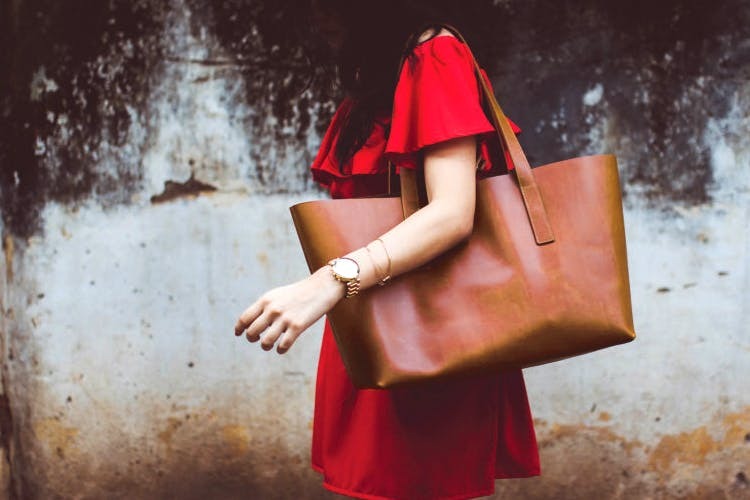 Hydes Studio was started by Ramya Balachandran and Hari Madhavan, who combined their expertise in leather and design to create a label that would offer modern, contemporary bags for women. Inspired by form, shapes and structures of buildings, architecture or even people, Hydes Studio offers a small but really diverse look book. Our first love is of course the Clara, an oversized tote. For those who cannot be separated from their camera, there is the textured Amy, your new bestie designed to carry your precious camera, journals and more. Looking for a slightly edgier version of a tote bag, then Zoya comes with studs in its handles or the classy Grace maybe, which is sturdy number. For a day when you don’t want to carry your big bag around, there is Sera a cross body-meets-satchel to run errands, and Cleo a trendy bucket bag with drawstrings and an adjustable strap with pockets. Their products start from INR 4,250, so it's well on the steep side.